To all my American friends, don't forget to vote today! 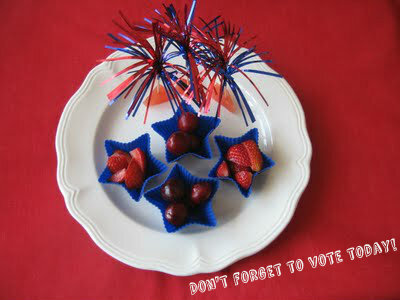 For the details on this red,white, and blue muffin cup snack, click here. Thanks for the inspiration. Found your site yesterday, made my first muffin tin meal and my picky eat ate EVERYTHING!